The UAE Space Agency and Al Yah Satellite Communications Company (YahSat) announced their participation in the fifth edition of the Bahrain International Airshow, in which they will highlight the UAE’s space projects and the strategic initiatives of both organisations.. The show will be held under the patronage of His Majesty King Hamad Bin Isa Al Khalifa of Bahrain from November 14 to 16. The Agency will also showcase the strong strategic ties in the space industry between the UAE and Kingdom of Bahrain, represented by the National Space Science Agency (NSSA). These ties include efforts in sharing knowledge, expertise, and local competencies, as well as cooperation on research projects related to space regulations. Dr. Mohammed Nasser Al Ahbabi, Director General of the UAE Space Agency, stressed that the agency’s participation comes in line with its strategic plans to ensure its presence in major aerospace industry shows, including the Bahrain International Airshow, which is one of the fastest growing events in the region. The UAE’s strong participation, along with KSA and Kuwait, signifies the deep bonds between the GCC countries. 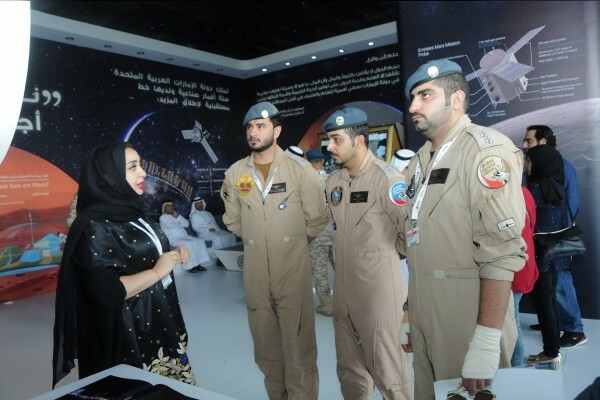 The UAE’s participation included the presence of 14 aerospace, engineering, and defense companies.